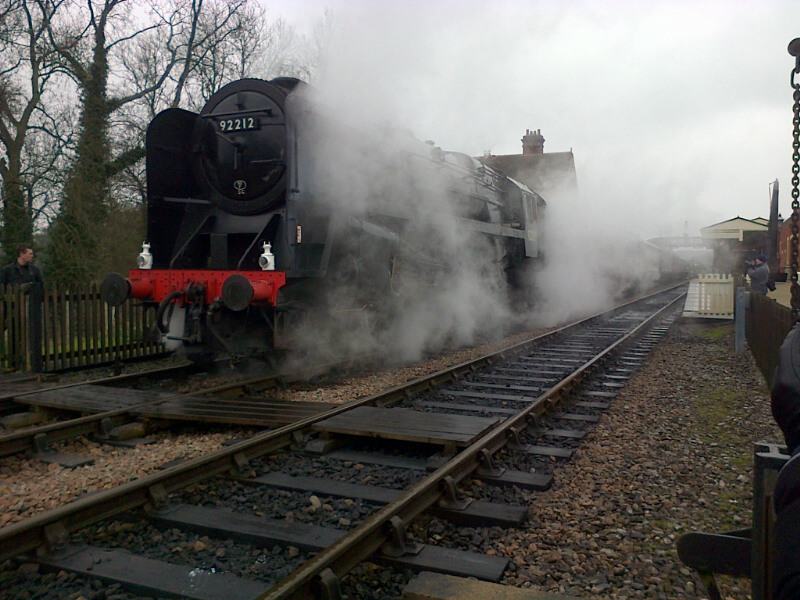 FOCUS TRANSPORT: Bluebell Railway Opens to East Grinstead. 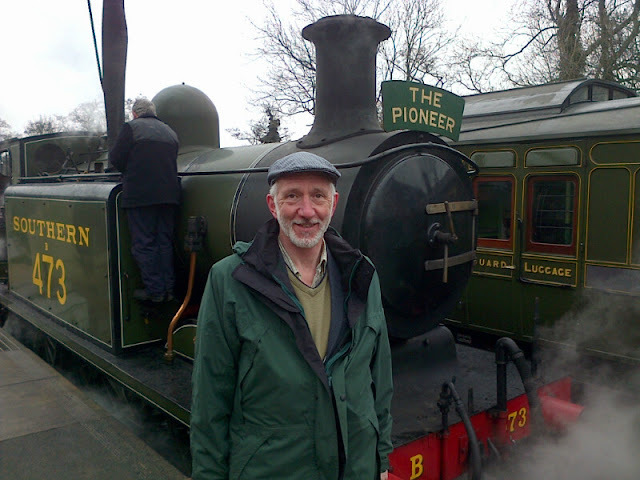 David Gambles has spent today at the Bluebell Railway, on the day that line has been opened to East Grinstead Network Rail. David managed to travel on 'The Pioneer' the first train from East Grinstead. Crowds line the platform and car park to give the first train a tremendous send off accompanied to music from a brass band. 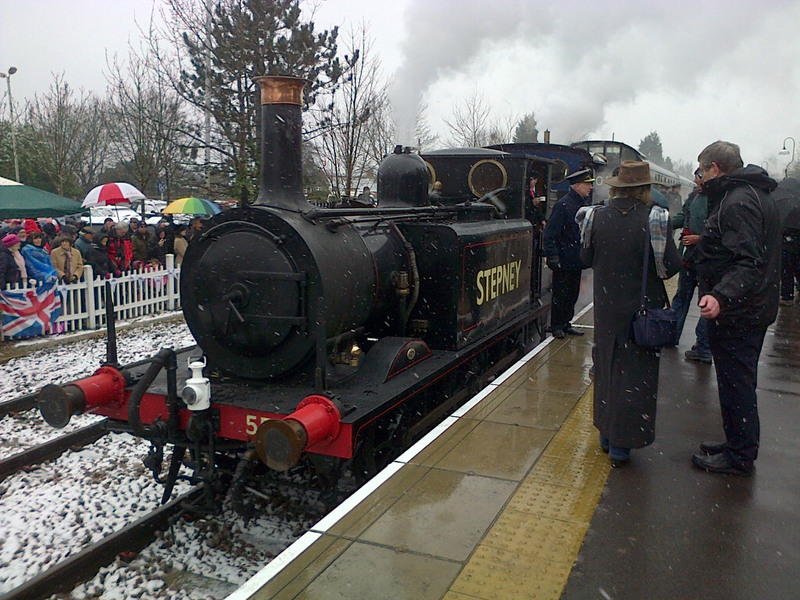 Stepney is attached to the rear of the first train to help get it through Imberhorne cutting and beyond to Horsted Keynes and Sheffield Park. Amongst the many VIP's on the first train was Transport Minister Norman Baker.